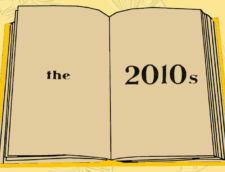 Viet Thanh Nguyen’s The Sympathizer was one of the most widely and highly praised novels of 2015, the winner not only of the 2016 Pulitzer Prize for Fiction but also the Center for Fiction First Novel Prize, the Edgar Award for Best First Novel, the Andrew Carnegie Medal for Excellence in Fiction, the Asian/Pacific American Award for Literature, and the California Book Award for First Fiction. 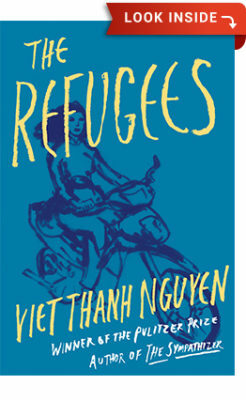 Nguyen’s next fiction book, The Refugees, is a collection of perfectly formed stories written over a period of twenty years, exploring questions of immigration, identity, love, and family. 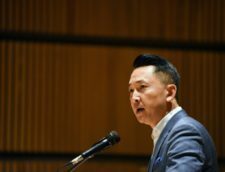 With the coruscating gaze of The Sympathizer, in The Refugees Viet Thanh Nguyen gives voice to lives led between two worlds, the adopted homeland and the country of birth. From a young Vietnamese refugee who suffers profound culture shock when he comes to live with two gay men in San Francisco, to a woman whose husband is suffering from dementia and starts to confuse her for a former lover, to a girl living in Ho Chi Minh City whose older half sister comes back from America having seemingly accomplished everything she never will, the stories are a captivating testament to the dreams and hardships of immigration. 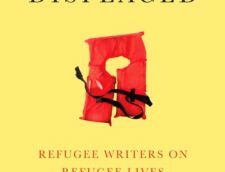 The second piece of fiction by a major new voice in American letters, The Refugees is a beautifully written and sharply observed book about the aspirations of those who leave one country for another, and the relationships and desires for self-fulfillment that define our lives.